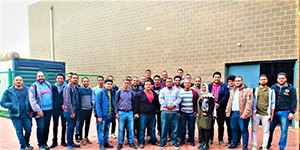 The Mechanical Engineering Department arranged a visit for the fourth-year students to the Central Air Conditioning Units at Hilton Hotel- Green Plaza Mall. This was held on Saturday, December 1, 2018. After being received by Eng. 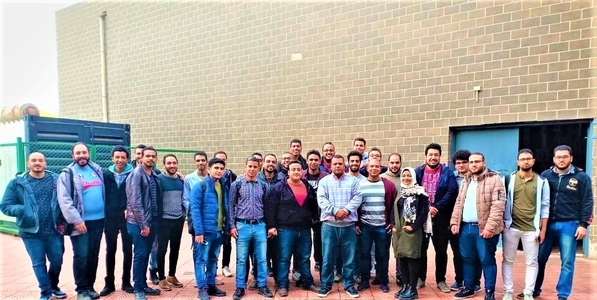 Mohamed El Nazer, the group was oriented towards the vapor absorption refrigeration system (VARS) as well as the operating systems of air conditioning pumps, chillers, cooling towers and the relation between the AC air distribution systems and the electrical loads. They were also acquainted with the control and regular maintenance systems. Special thanks is due to Eng. Samy Al Hady for his cooperation with Pharos University in conducting scientific researches. The coordination of the visit was managed by Dr. Mohamed El Helow and Eng. Kirlos Attay.